Google Authorship is an amazing program for webmasters, bloggers and online content creator. After setting up, when Google finds you have linked your Google+ authorship to your blog/ content it will show your profile thumbnail along with your full name in search engine results. This will make more creditable and SEO friendly your contents to generate more click on your content from search results. 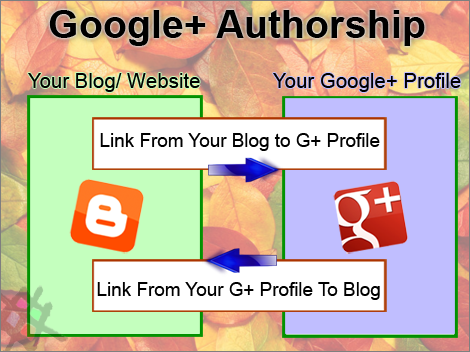 Let’s see How to setup Google Authorship for bloggers? 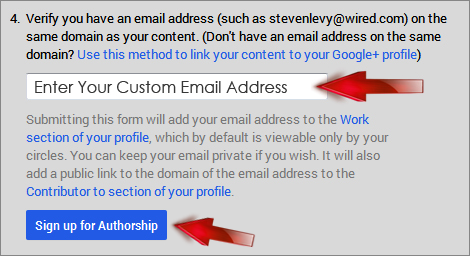 If you have not your own custom email on your domain you can use second option to verify your Google authorship. 1. Go to the Google Authorship page. 2. Enter your custom email address. 4. Google will send an email to the address with a verification link. Check your inbox and click the Verify button from the email. 5. Now Google will automatically add your confirmed email’s domain in the “Contributor To” section of your Google Plus profile. That’s all for custom email verification. 2. Go your Profile and click About. 3. Scroll down to Links section and click edit. 4. Now add your blog/ website link in "Contributor to" section. Make it Public and click Save. 5. Go to your blog/ website and add a link using the following HTML code in your about page or contact us page. 6. After adding the link successfully you are all done. Do a Check. Is Everything Okay? 1. Go to Google Rich Snippet Testing Tool. 2. Paste your blog/ website URL and click Preview. 3. If you see your Google Plus profile photo appears and Authorship is working for this webpage message then everything is okay. Note: Allow some days to Google to review your information and permit to show your authorship for your content in Google search results. I have described everything step by step. If you still have any problem then just let me know by dropping your comment below. Stay well and Pray for me. Allah Hafez.